How can it help not only in finding content on the Internet and how it can help protect your private or corporate communications? VPN stands for “Virtual Private Network”. Simply put, using VPN, your device is connected to a local network no matter where it is physically located. For example, you can safely print to your home or business printer located in Prague from New York. Likewise, you can use VPN to view the American version of Netflix from Brno (which has different content and is “invisible” for users who connect from other parts of the world). The introduction of new regulations for Internet content providers has increased the likelihood that servers that provide content for EU countries other than the rest of the world will grow. VPN connectivity remains one of the few ways to access unregulated content. 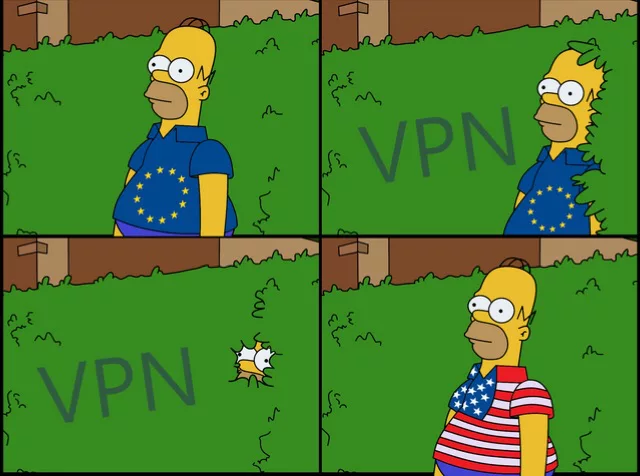 You install a program (called a VPN client) on a computer (or phone), select a destination (VPN server) that can be anywhere in the world, and from now on you use the Internet as if you were physically in the VPN server location. For example, if you have a VPN server in Chicago, you are in Chicago for websites (and other services) as well. Basically, in a matter of seconds, you were virtually teleported to the other end of the world. You can use services that are locally restricted (such as Netflix or the Czech Television, which can only be viewed from the territory of the Czech Republic and not normally viewed from holiday). In addition, your communication with the VPN server is encrypted and cannot be easily tapped (eg if you are connected to a public Wi-Fi in a cafe). The disadvantage may be a lower speed of VPN connection, depending on server speed and encryption method. But this reduction is not very large in practice. Example: NordVPN, ProtonVPN, Cryptohippie, VPN.ac. You can simply pay for VPN as a service. There is a lot of operators, they differ in price, number of servers around the world, guaranteed speed, anonymity rate and other parameters. How to choose the best one? There is no simple answer to that. Much depends on what you want to use VPN for. If you only need to connect to a server in one country from time to time, a cheaper service with fewer servers is enough. In order to watch videos or download more data, you need more guaranteed speed and unlimited download or upload limits. Some examples of VPN providers are NordVPN, ProtonVPN, VPN.ac. Their VPN connection applications exist for all major operating systems on both computers and phones, and have a large number of servers around the world. ProtonVPN allows you to use VPN for free, but with a small number of servers, slower speeds and single device limitations. The advantage is that you can try VPN before paying. There are many operators who offer a free VPN. However, because server operation costs a lot of money, it is often financed from the sale of user data or direct abuse of transmitted data (VPN operator, unlike your ISP, “sees” your data). Therefore, it seems safer to pay for the service. But even the fact that you pay for the service will not guarantee that the operator does not use your data. That is why the credibility of the provider needs to be taken into account. A detailed comparison chart of different VPN providers can be found here. You can run VPN yourself on your home or business server (with a public IP address). There are several possible solutions, whether commercial or open source, such as OpenVPN. This allows you to configure the server to suit your needs and not share your data with any operator and use it to access your internal network from outside (your computer will behave as if you were on a home or business network). If you have sufficient knowledge (or your own IT department) and need a VPN to access your own network rather than access services in other countries, this option is more appropriate for you. Cons: Installation and configuration (you need your own server and knowledge for correct and secure setup), server maintenance and updates, the number of servers in different locations is limited by your abillities. Your computer (or phone) in Prague first contacts the first point on the network, today usually a Wi-Fi router in your home, in your company or in a cafe. The router will connect to the Internet provider (eg UPC, O2, etc.) and your request will reach the server where the Netflix website is located via various other servers along the way. Depending on your location, it will display a local version (in our case Czech). How does service provider know where you are? Simply according to your IP address – these are specific to different parts of the world and can be located. So Netflix sees that you are in the Czech Republic and will not allow you to look at other versions. VPN works on the client – server principle. This means that your device has a program called a client that connects to the server (eg, New York) and creates a data tunnel between your device and the VPN server. All data flowing through this tunnel is encrypted and unreadable to anyone else on the network (or your ISP). The VPN server then connects to the server (in our case Netflix) you want to visit under its IP address and the operator does not see your actual location but the location of that VPN server and can adjust the data offered to you (US version) accordingly. If you have your own VPN server, your computer or phone is connected to the network just as if it were physically in your home or business. This gives you access to other computers and devices such as printers, shared disks, internal company systems, etc. The connection is encrypted, so there is no danger (if properly configured) of being tapped.